Location!Location! 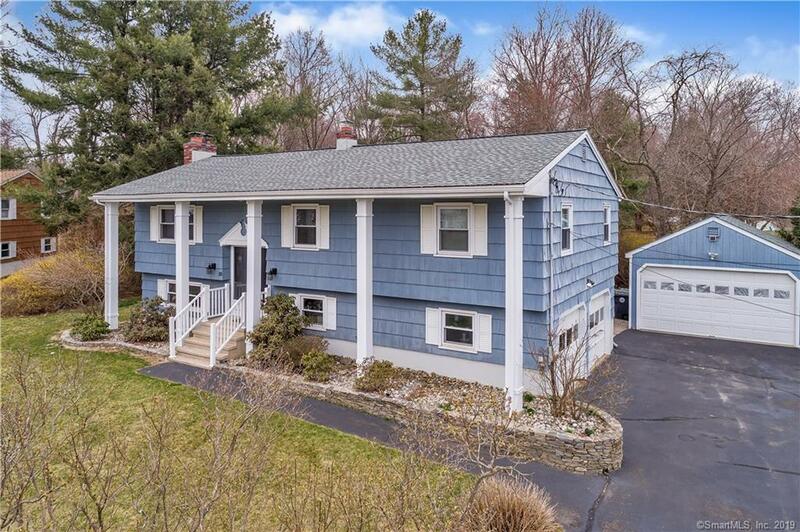 This expansive 4 bedroom 2.5 bath 2,400 square foot North Milford home is situated on a quiet cul-de-sac close to all major highways and shopping. Recent update include beautiful newly finished hardwood floors on the main level, freshly painted throughout, windows, roof, and lower level carpet. The spacious open floor plan lends itself well to entertaining with the large sunny Living Room with fireplace, a generously sized Dining Room, Eat-in Kitchen has a large dining area. Three bedrooms on the main level include a Master with full bath. The lower level is perfect for a possible in-law with it oversized Family Room with fireplace, bedroom, full bath, private entrance, and patio. 2 car garage under. Detached 480 sq. Ft. Garage with electric is ideal for landscapers,woodworkers, or car collectors. Sited on a pretty level yard with babbling brook. Customize to your taste. An outstanding value. Donât miss out! See it today!